Happy Monday! And I can actually say and mean that this week because I have today off :) I plan to continue my long weekend with a trip to a local dog beach. But for now let's talk about how awesome my Saturday was. 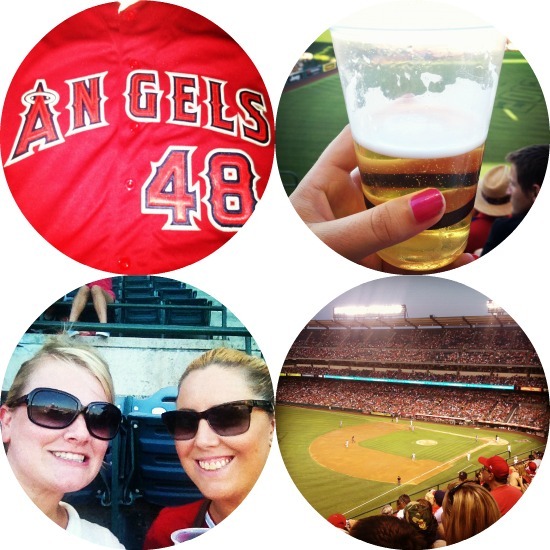 My big sis from sorority was in town and treated me to an Angels game. The Angels are my favorite team and somehow I hadn't been to a game all season. Needless to say it was a blast! I finally got to wear my new jersey and take in the atmosphere of a game, all with great company. I mean, c'mon, baseball and beer - there's nothing more American! 2. Add the badge (above) to your post. Pretty easy right? 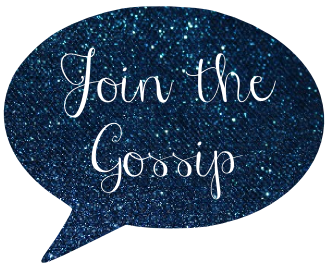 Once you link up be sure to visit other blogs and make friends. Some pretty awesome people link up each week! You can never go wrong with beer and baseball :) Enjoy your day off today, and play with some pups for me at the dog beach!! An extended weekend...there is nothing better! I hope you have a great time today. Yay for a great weekend. Enjoy your day off, I'm so jealous! Love a good baseball game! :) First time here and I'm linking up...thanks for hosting! One can never go wrong when the day includes a beer on it. Looks like a fun long weekend for you. PS I love how your images are in circles. It looks so awesome! Will you please share how do you do that? Love Baseball games! I haven't been to one all Summer either! Oh I love going to a baseball game. ooooh, sounds like fun! hope you had a great weekend! Baseball, beer, and maybe a hot dog!! That's what I love about Baseball...lol. Besides the game itself. :) Glad you had fun!! Happy Monday! Hope you enjoyed it! I've never gone to a baseball game, although I've always kinda wanted to.. I don't care much for the sport, probably because I don't get it, but it just looks like a fun experience. Plus, the food..
What a fun weekend! I'm a big baseball fan -- and games are a blast! I went to my first pro- Baseball game this year and I LOVED it! Baseball and beer, fun! And your nails are pretty too! Fun! I've only been to one game this year. :( I love that you got dressed up! I'm always in team colors/shirts too. Yay baseball!